This well established Business is for sale. A stylish restaurant and bar including a veranda for outside dining is located on the ground floor of the totally refurbished National Hotel - a Cambridge landmark on Victoria Square. 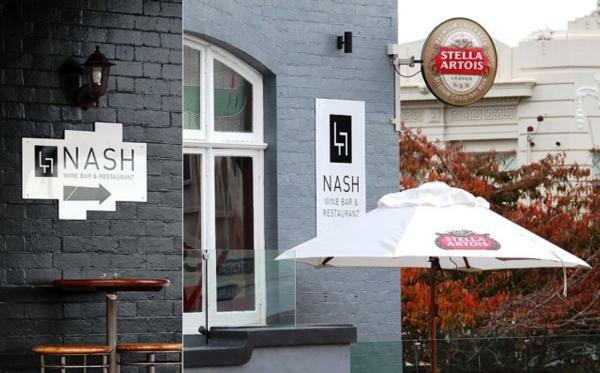 Well known local and Masterchef identity Cameron Petley is now master of The Nash kitchen. With a delightful fit-out sympathetic to the era of the building, obviously no expense has been spared and it shows. The delightful town of Cambridge with a population of around 16,000 is located in the heart of the Waikato horse breeding district with lovely tree lined streets and many well preserved heritage buildings. On offer are antiques, art galleries, horse studs and jet boating on the Waikato River plus many splendid parks and gardens. Cambridge is “the home of champions” a truly great place to live with excellent schooling.